I recently went to Venice and fell in love with it straight away. It is by far the most magical city I have ever been to, I can definitely see now why the Clooney’s got wed there. 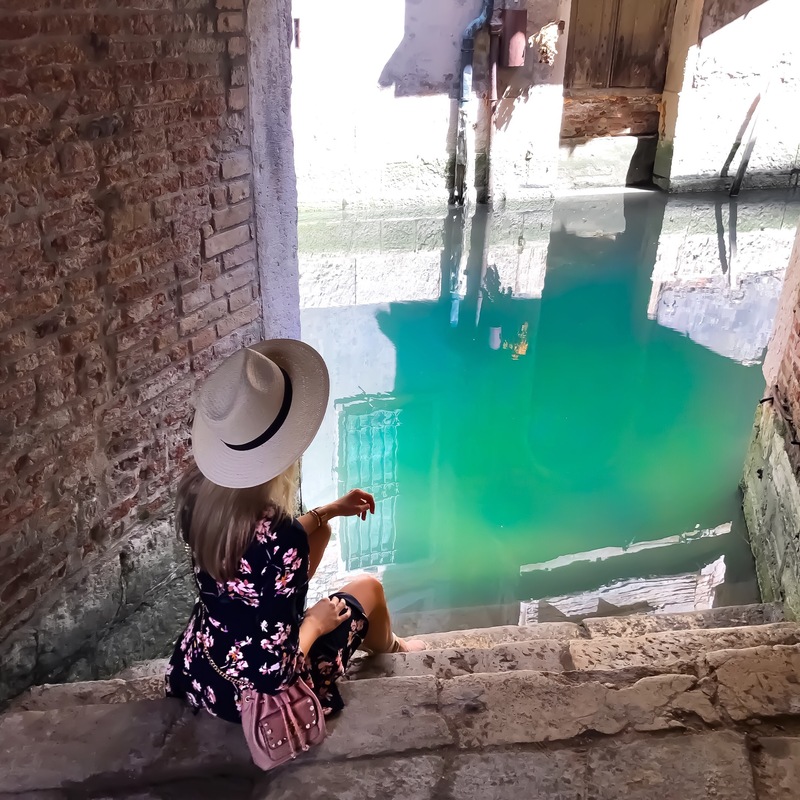 I find it hard sometimes to know what to do and where to go when I visit new places so I put together a little guide to help you out if you ever head to Venice! I have to hold my hands up and say I’m a bit of a hotel snob. By that I mean the sight of hairs in the sink, dust on the floor, dirty duvets and bed bugs are enough to make me recoil right back to England. So I did a little research and opted for the Hilton Garden Inn, located just on the outskirts of Venice making it a more affordable option. You may think it would be more idyllic situated right in the centre of the hustle and bustle but there are a few reasons why this hotel was perfect. With a bus stop right outside the hotel you can get into Venice in just five minutes. If you’ve been to Venice before you will also know of the intense smell that hits the city in the Summer months so it’s refreshing to escape after a long day walking in the heat. With a swimming pool and gym it was perfect to cool down and relax after a long day. You may think that the extra cost of the bus rides will add up but I picked up a three day unlimited transport pass for the entire of the stay which allowed me to travel on all the boats around the city and even to the neighbouring islands (42 Euros for under 30 and 52 Euros for over 30). 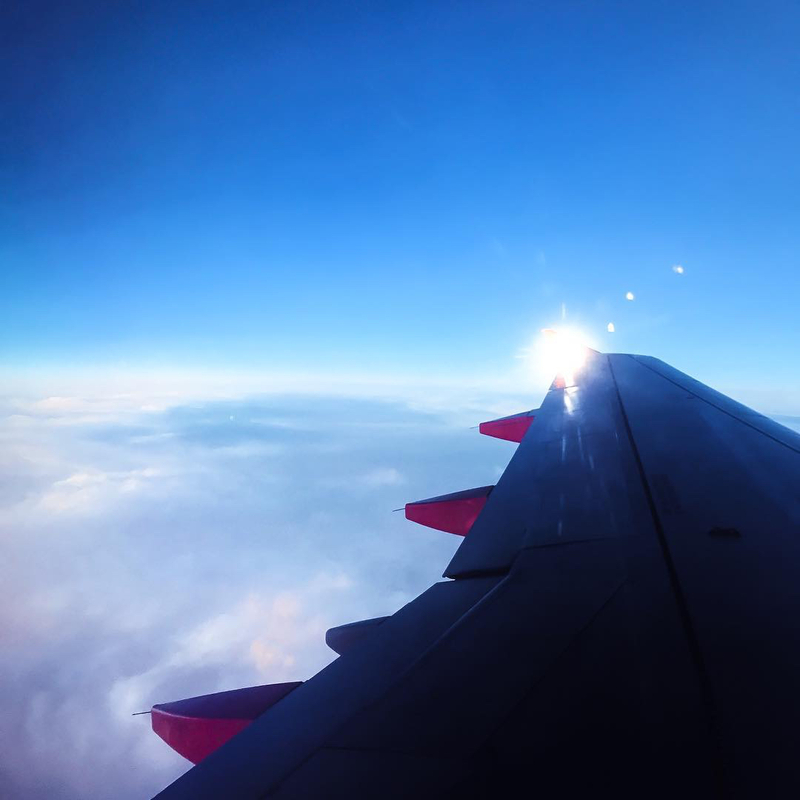 These single journeys will add up tremendously so make sure you pick your pass up at the airport as soon as you arrive. Burano at sunset. 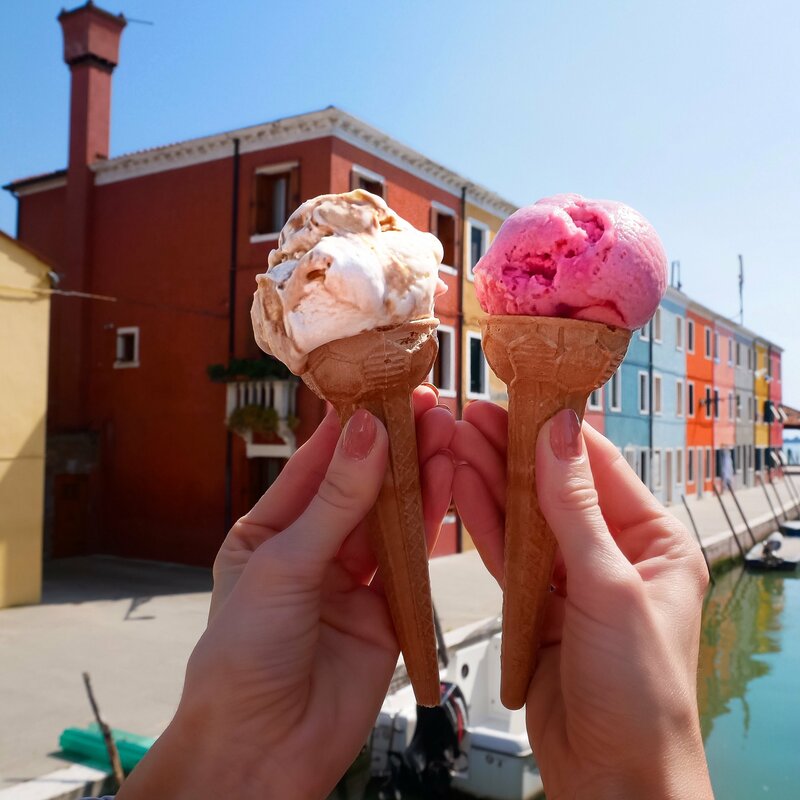 Burano is a spectacular colourful island neighbouring Venice and it’s definitely worth a visit. If you want to avoid the crowds and the boat queues then head there later on in the afternoon to catch the sunset over the array of multicoloured houses. 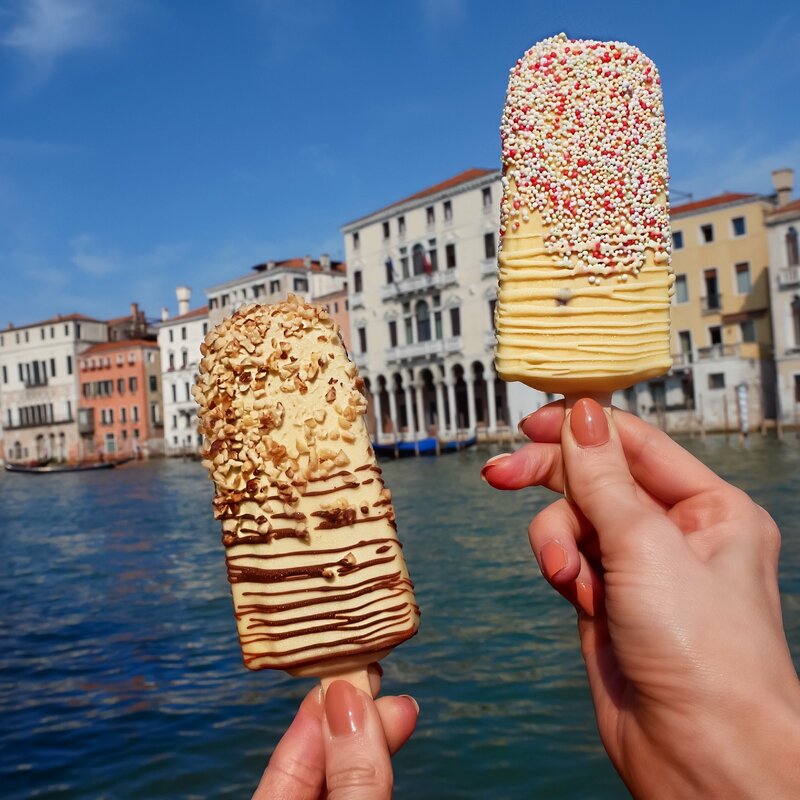 Don’t forget to pick up your ice cream from the yellow house for 1.50 Euros, a bargain compared to the city centre prices. The best and quickest way to get to Burano is by boat via the island of Murano. You can use your all day unlimited transport pass to have a mooch round Murano and then head on over to Burano. Avoid the direct route from Burano to Venice in particular around rush hour as it can get rather cramped! That orange drink – you will see it everywhere in Venice. 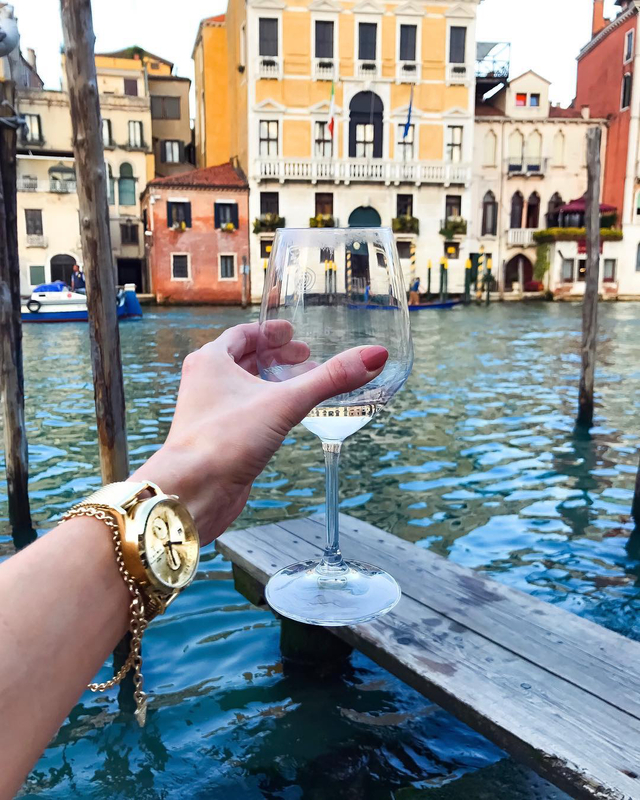 In particular the row of outside bars located on your right as you arrive via boat at Rialto Bridge. 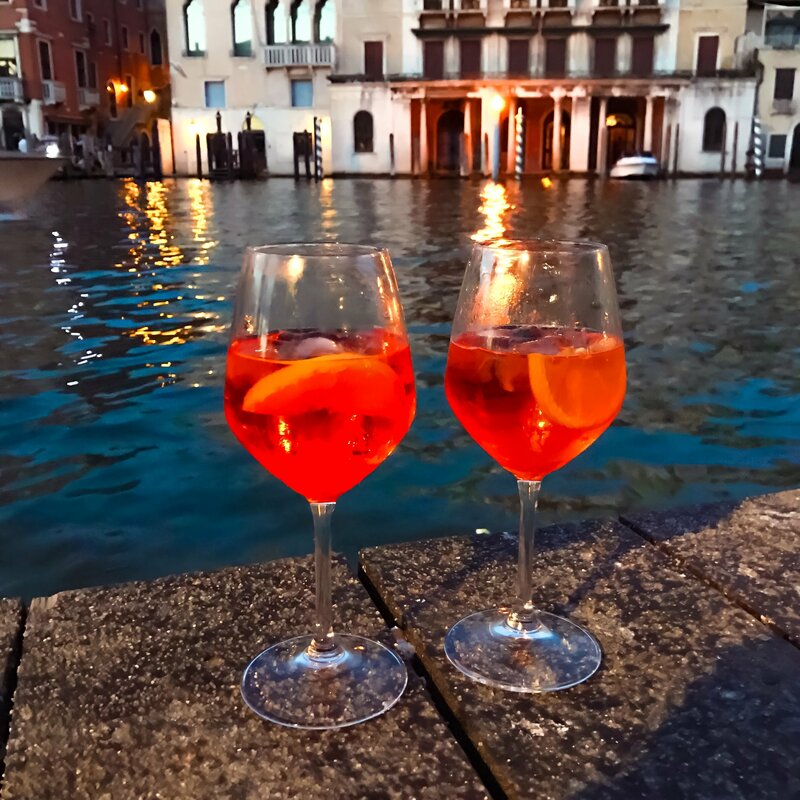 At dusk order your Spritzers with a bowl of crisps from Osteria Al Pesador overlooking the canal where you can watch the world go by. This may not be for everyone but if you are a blogger or just love photographs then you need to get lost just East of Rialto Bridge. Here you will find secret little passages and dreamy bloggable corners where it’s less crowded and calmer (aka perfect to take a picture). Restaurants are always hit and miss whenever you visit a new place. However I usually find the ones a little off the beaten track are tastier and cheaper. 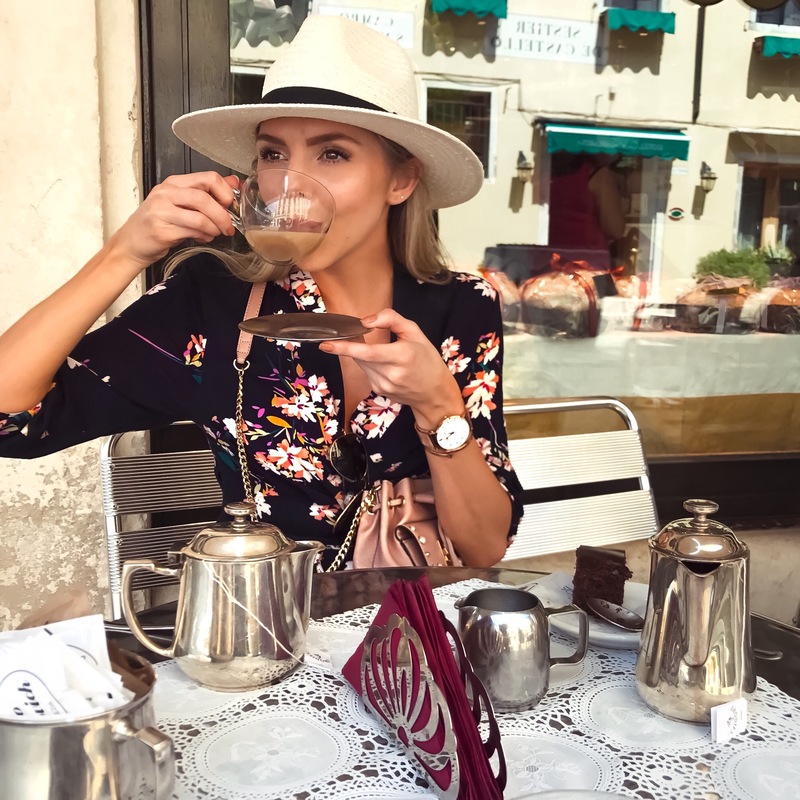 Mura Frari is a restaurant found in the quiet back streets of Venice – it will definitely require google maps if you’re not so hot with navigation skills. It’s definitely worth it though, not only is the food amazing but the restaurant is classy and clean overlooking a quaint little canal – perfect for if you want to pick up a late night gondola. It was so good I went back twice! 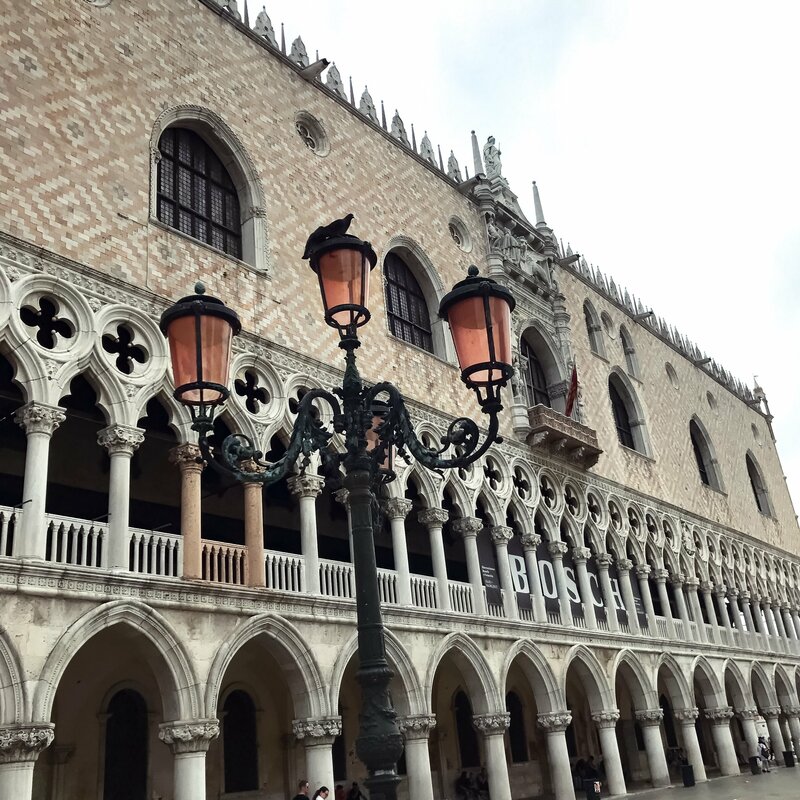 One of the most iconic places in Venice – extremely touristy but worth a visit to take in the beautiful architecture. This will be by far the busiest part of Venice so to avoid the crowds head over in the evening. I didn’t manage to get there at this time but the water seeps into the square causing the most spectacular reflections of the surrounding architecture at this time – a definite breath taking moment. If you’re typically English or just love the quintessentially english brew then head slightly North West out of St Mark’s Square. Whilst wandering in this direction you can pick up the yummiest pasta from ‘We Love Italy, Pasta To Go’ and eat whilst you walk. In a quiet square you can sit peacefully at Bar Pasticceria Ballarin with a good old cuppa and cake to gather your energy or in my case connect to the internet. Pick your gondola wisely. Avoid the main canal for near misses with the bigger boats and a bumpier ride. 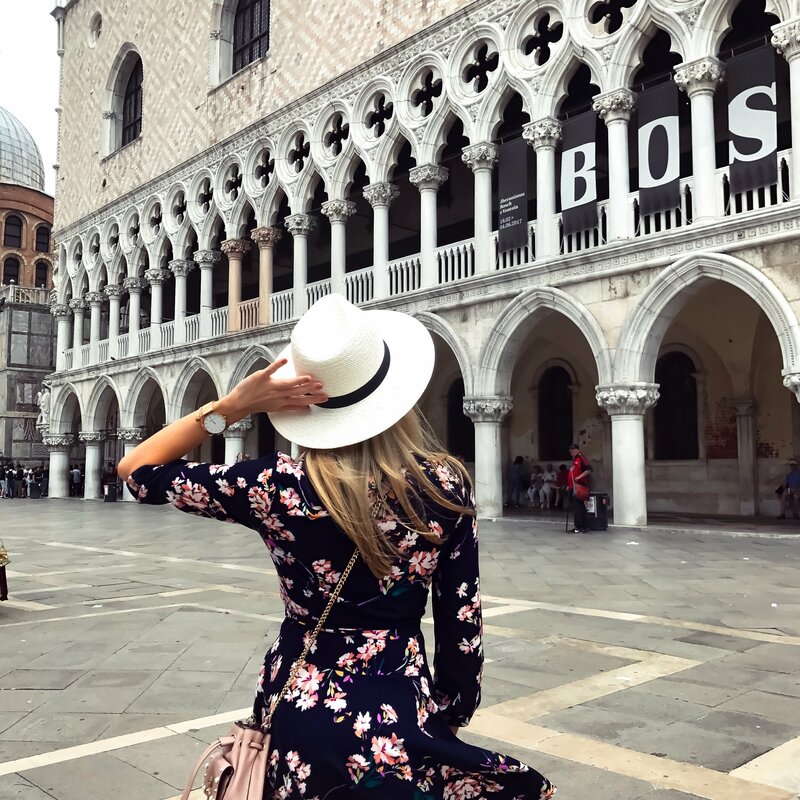 Avoid the touristy area near St Mark’s Square as copious amounts of tourists will take pictures as you pass. 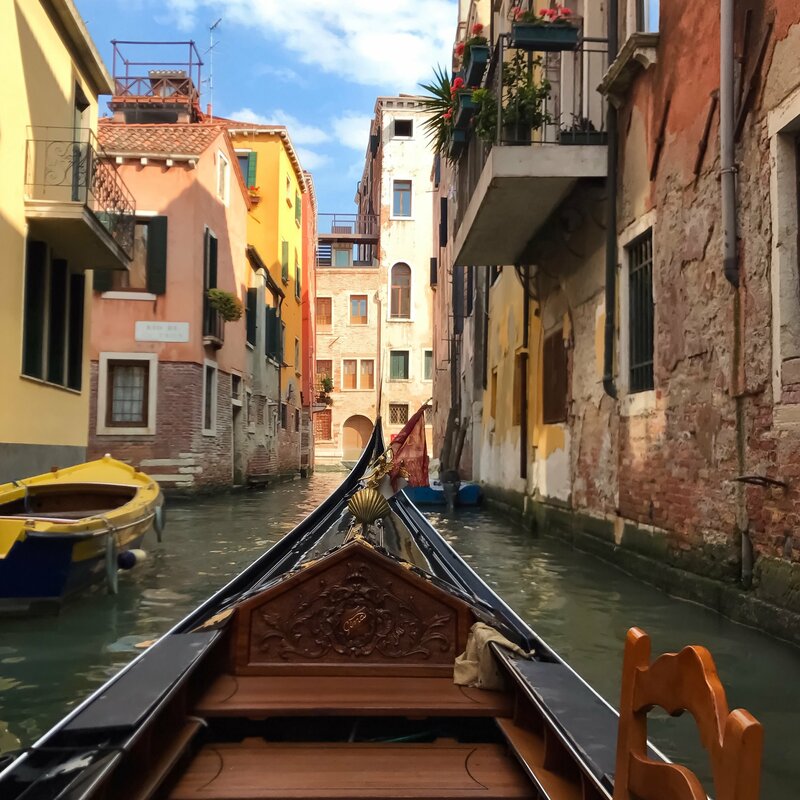 For a little privacy, calm and relaxing ride head West of the grand canal – I picked one up not far from the Muro Frari restaurant. 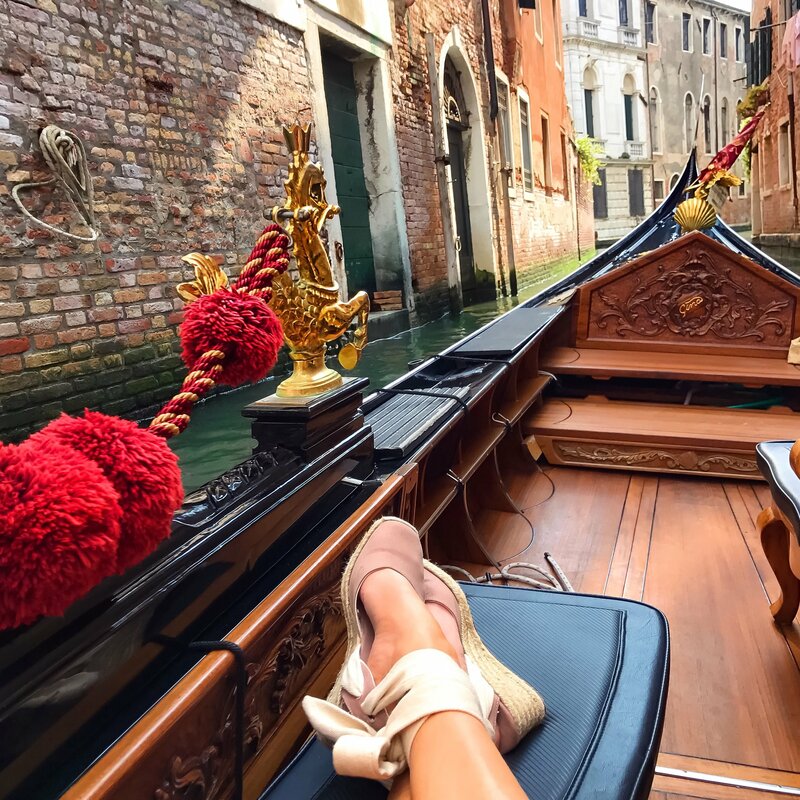 Take a sneaky bottle of wine and relax as you ride the tranquil back canals of Venice. 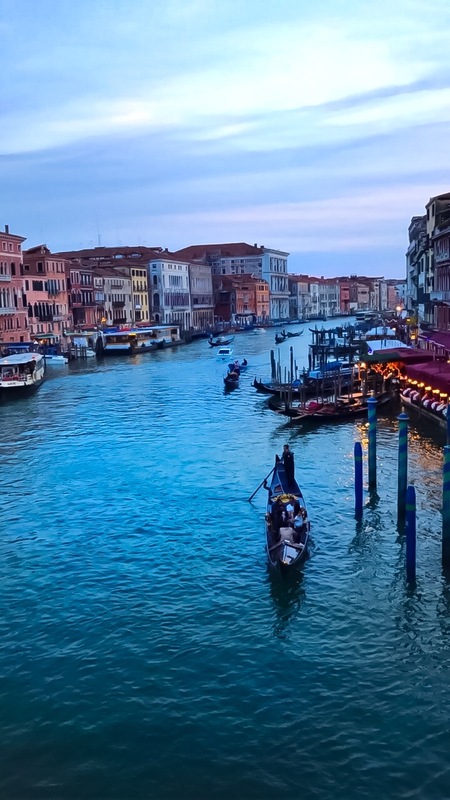 Gondolas are more expensive in the evening so if you catch them at dusk you can get the cheaper rate still! They are usually a set price of 80 Euros during the day and 100 Euros in the evening, that’s not to say you can’t have a go at bartering the price. Personally I think it’s worth the price and a definite bucket list moment.